Msmpeng.exe high usage of CPU and disk is caused by many reasons and scanning itself is one of the major reasons that many users face. 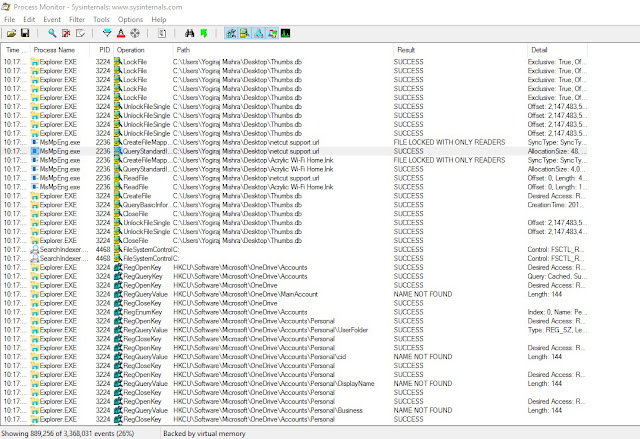 If you have been facing Windows defender eating up your hardware resources and slowing down your computer you can easily find out if this problem is cause by scanning it own directory. When Windows defender scanns its own directory then each files are double scanned at same time and this cause high usage of disk with more CPU usage. I have trid explaining about msmpeng.exe proccess earlier and it is related with Windows defender. In case if you don't know whether Windows defender is scanning itself or not then you can use proccess monitory from Microsoft to checkit. Now find "Msmpeng.exe" from the list of processes. See the path if any proccess with Windows defender have their own path then it is scanning its own directory and exclude directory from Windows defender setting.